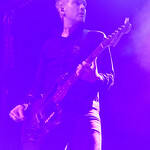 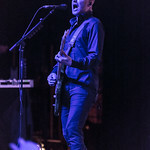 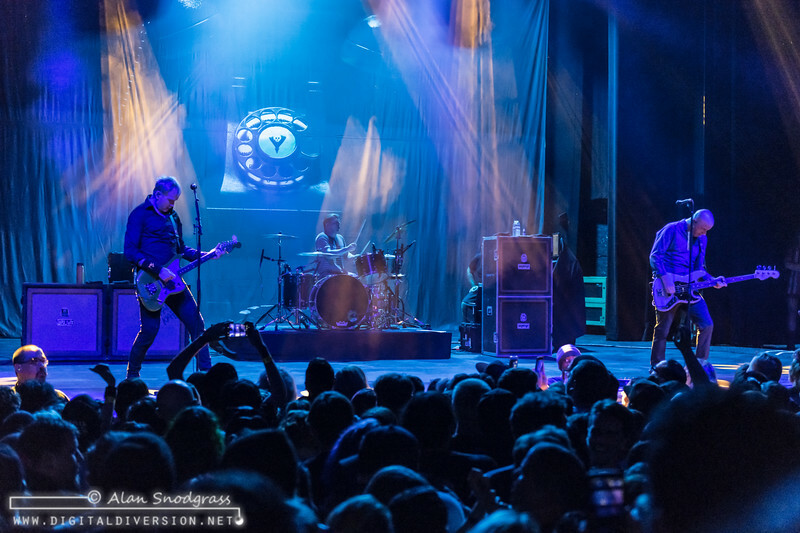 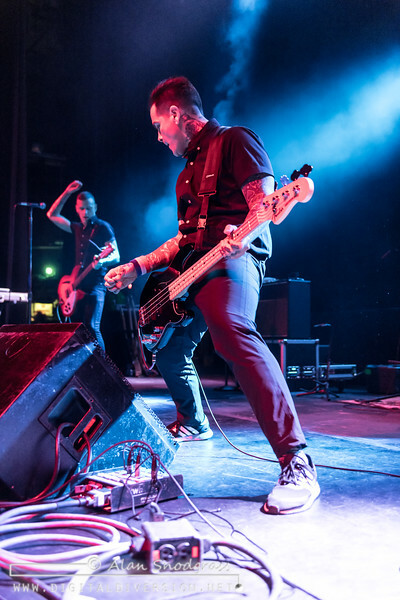 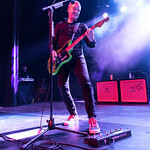 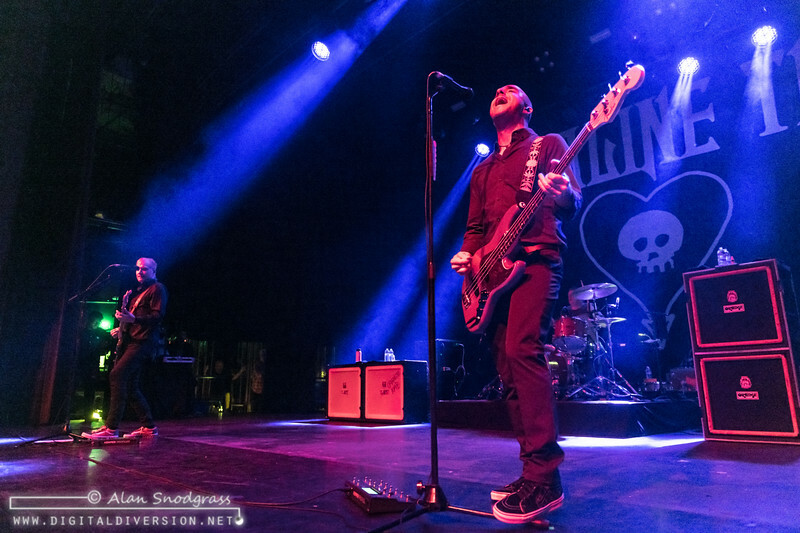 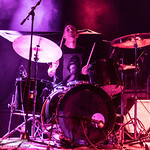 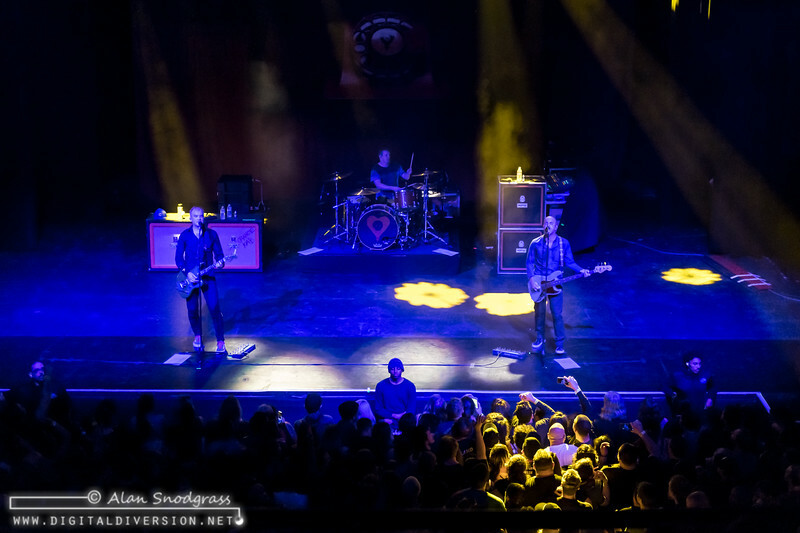 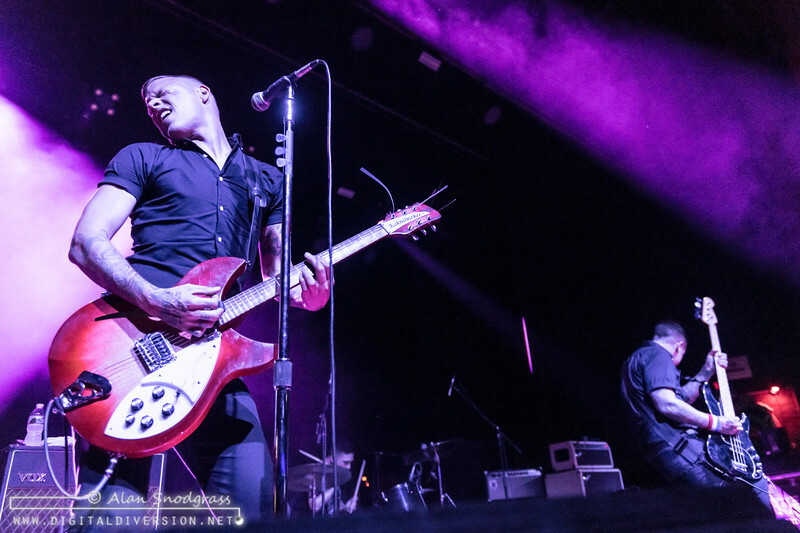 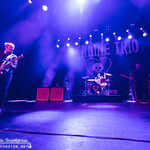 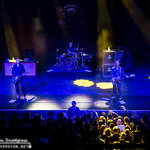 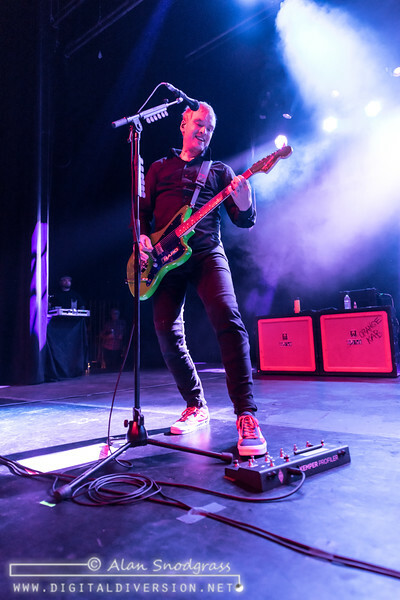 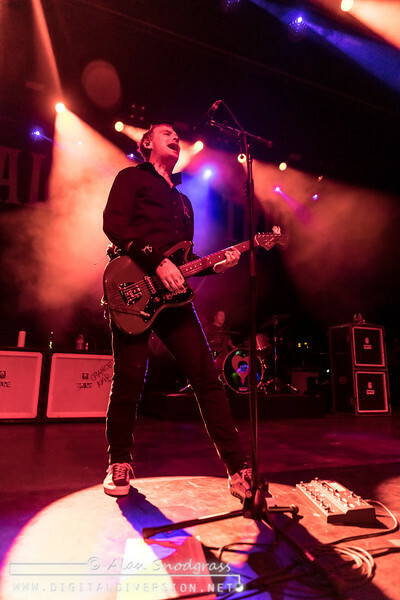 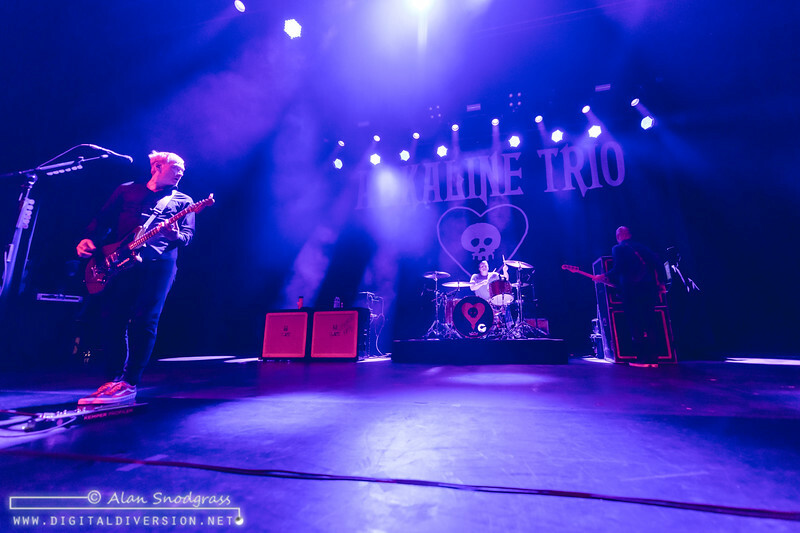 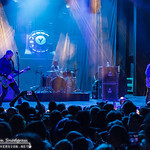 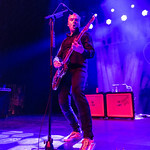 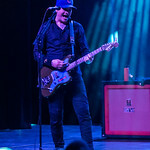 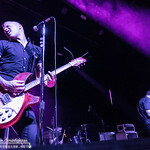 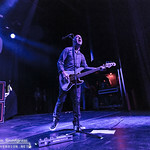 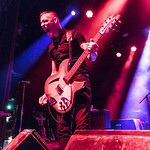 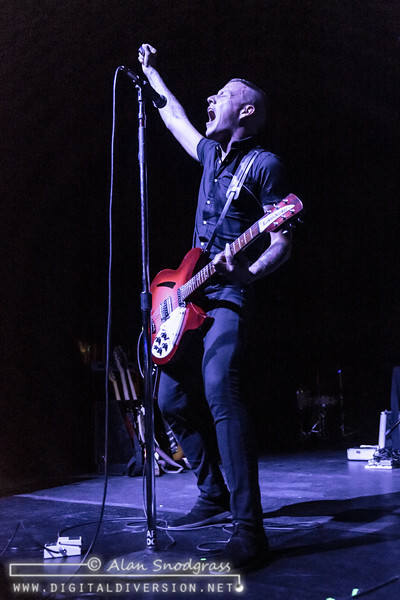 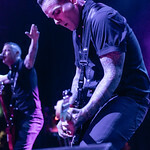 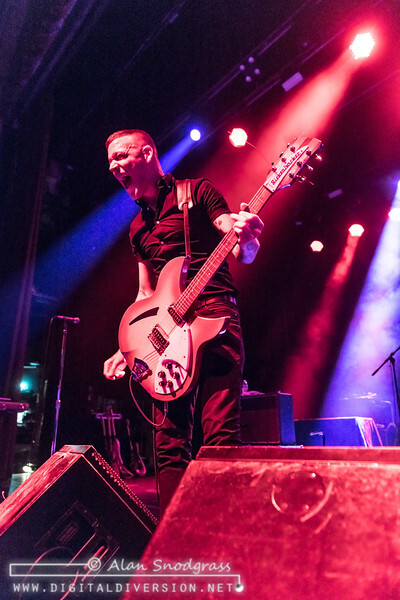 With a new album (“Is This Thing Cursed?”) fresh out of the hopper, Alkaline Trio is finally back on the road including a Saturday night throw-down at the Warfield in San Francisco. 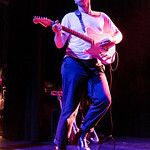 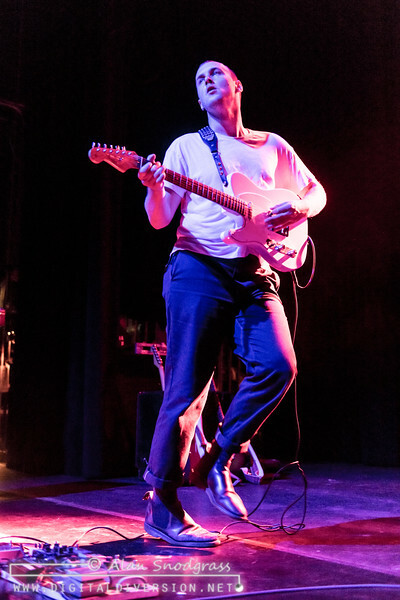 Despite it being a Saturday night, for some reason folks seemed to slow-roll this show so openers Sharp/Shock and Together Pangea played excellent sets to a criminally less-than-packed house. 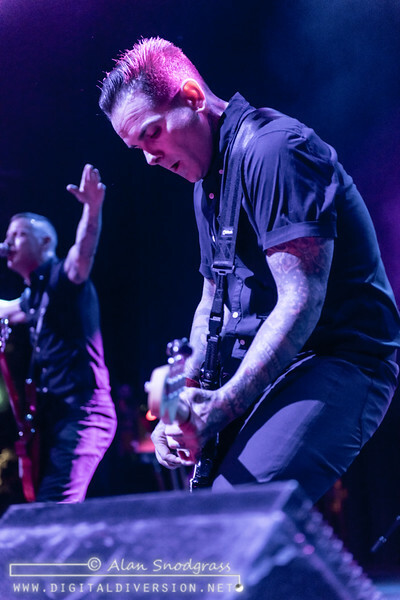 But by the time Alkaline Trio’s set rolled around, the Warfield was packed and ready to party, no small feat given the number of quality shows happening around the Bay this night. 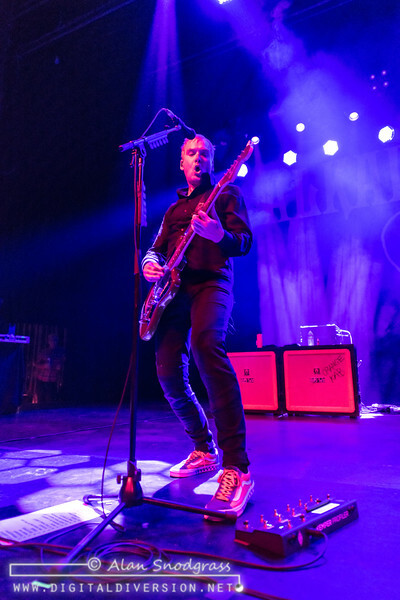 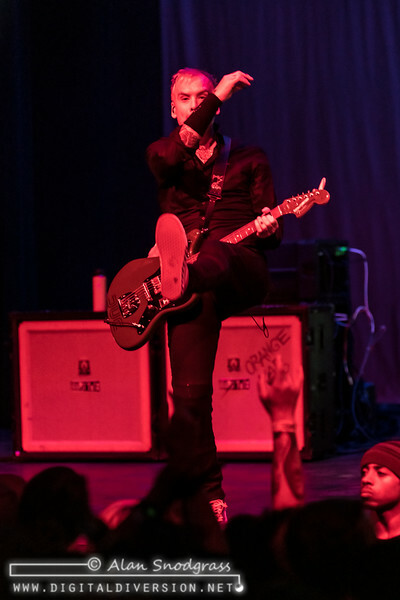 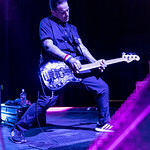 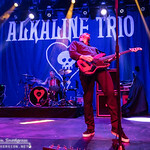 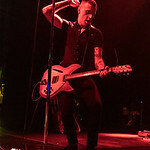 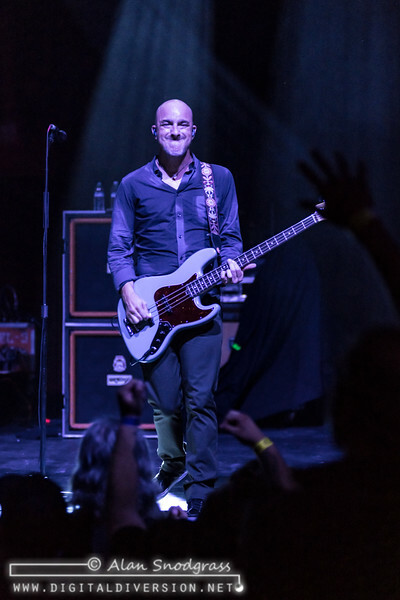 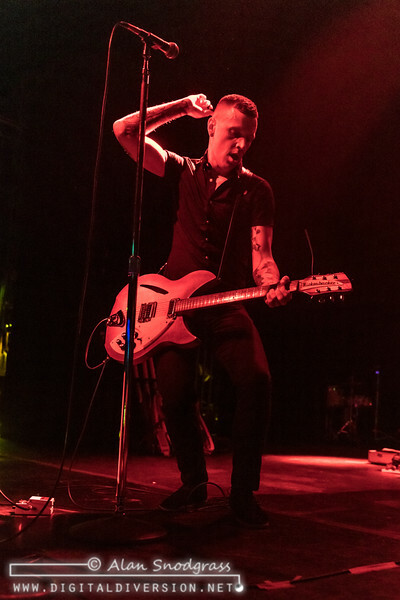 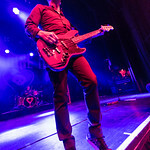 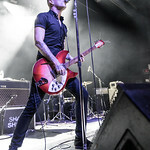 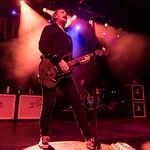 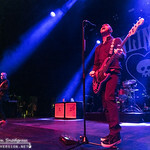 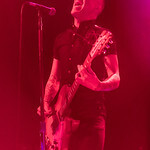 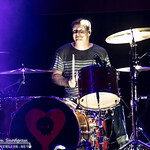 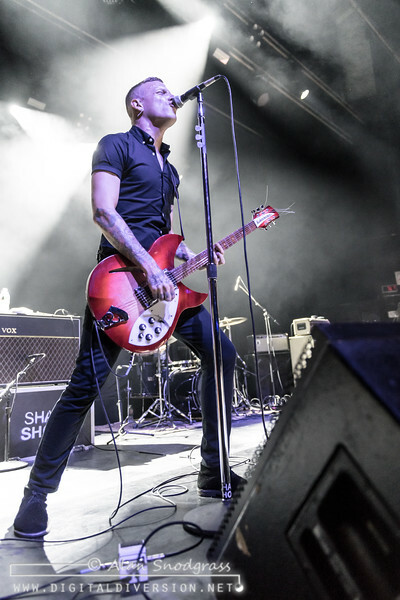 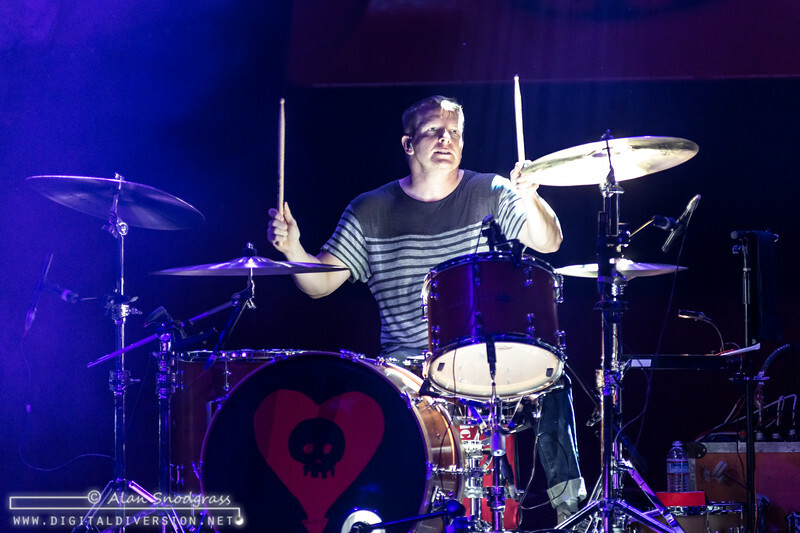 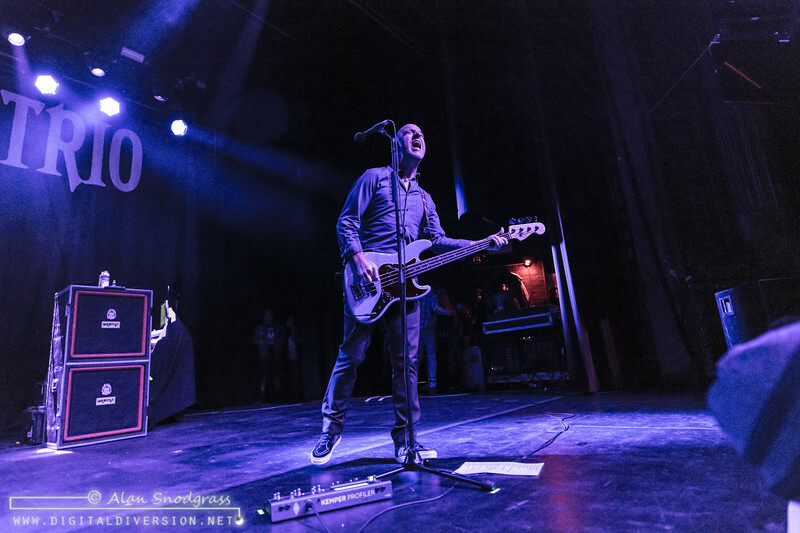 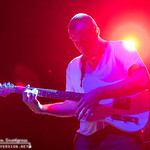 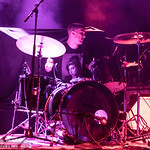 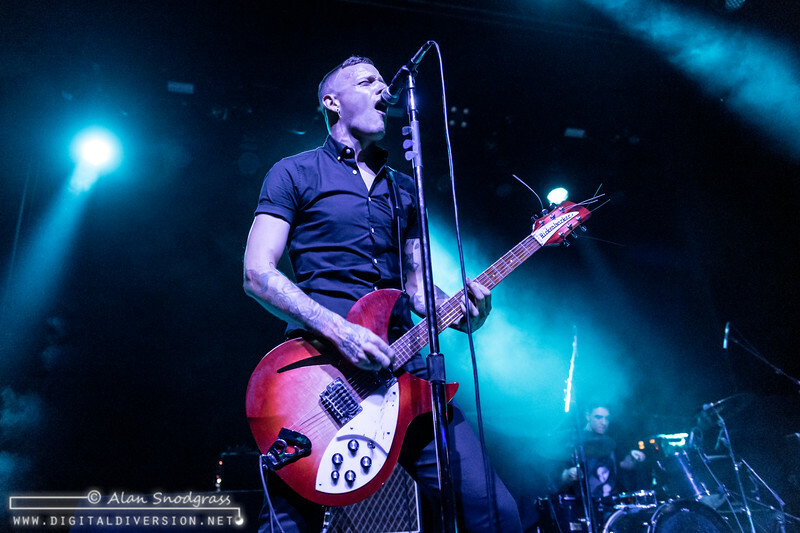 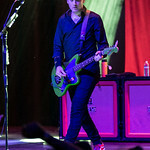 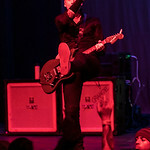 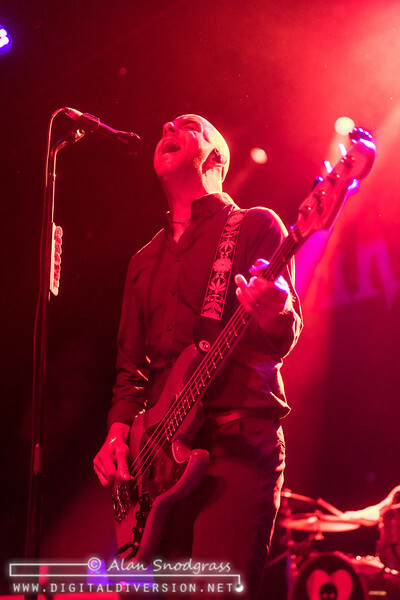 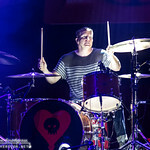 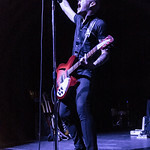 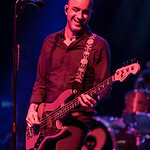 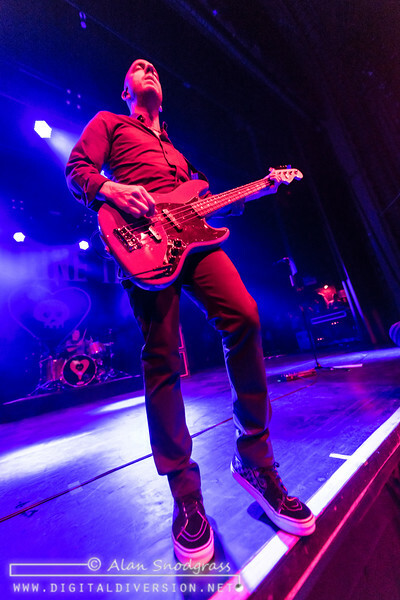 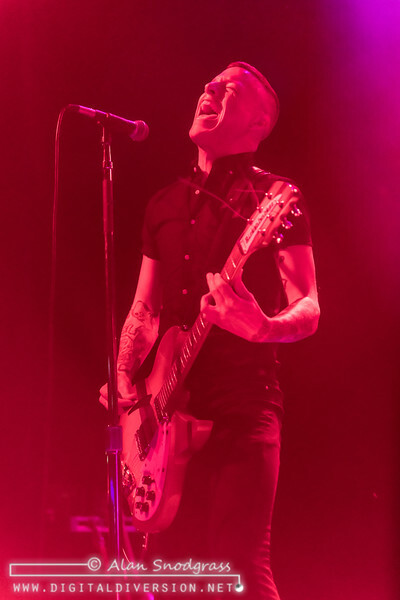 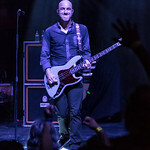 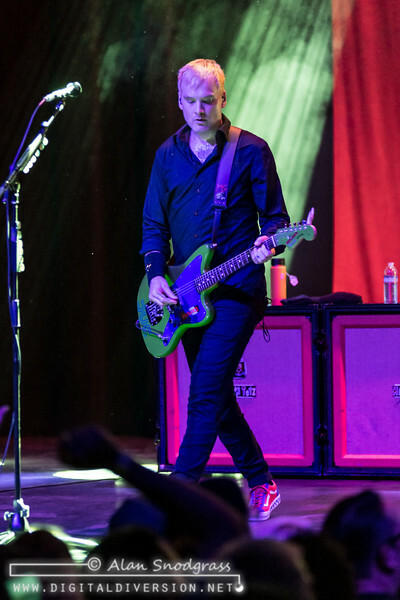 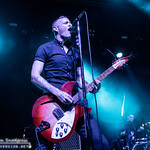 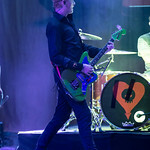 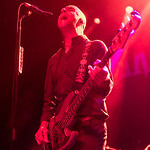 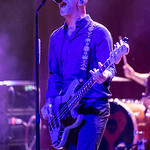 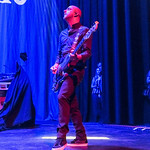 With a couple of shows already under their belt, Alkaline Trio hit the stage running, Andriano shining on lead vocals as they launched right into “We’ve Had Enough.” It has been a while since Alkaline Trio last played the San Francisco Bay Area (2015?) 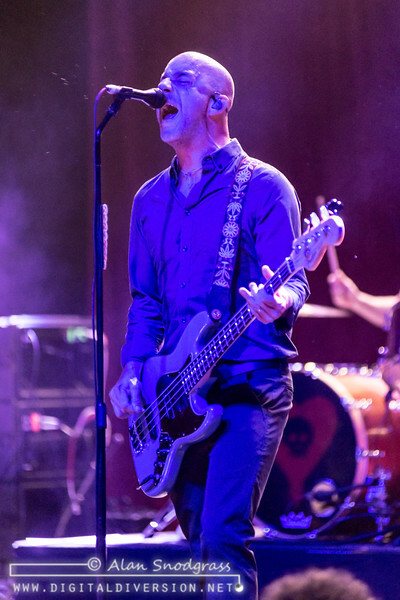 and they had clearly been missed. 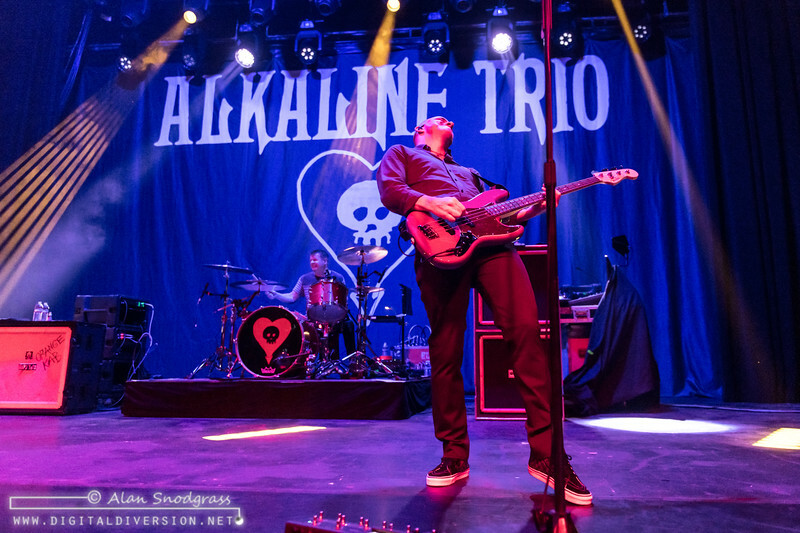 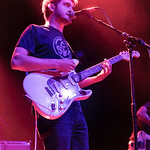 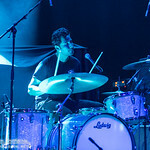 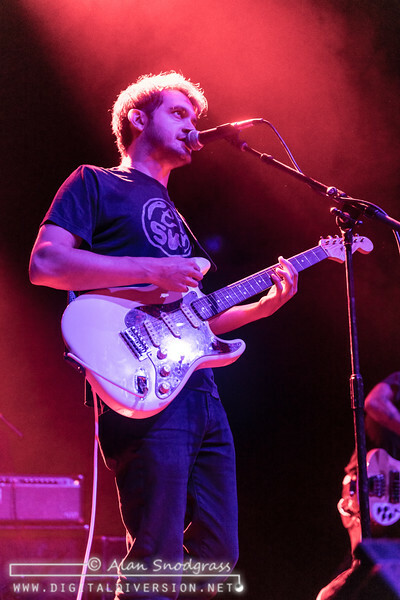 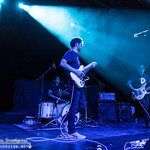 The orchestra pit was packed and the fans were dancing, singing and surfing along as the band dug deep, covering a broad swath of its catalog during the 90 minute set. 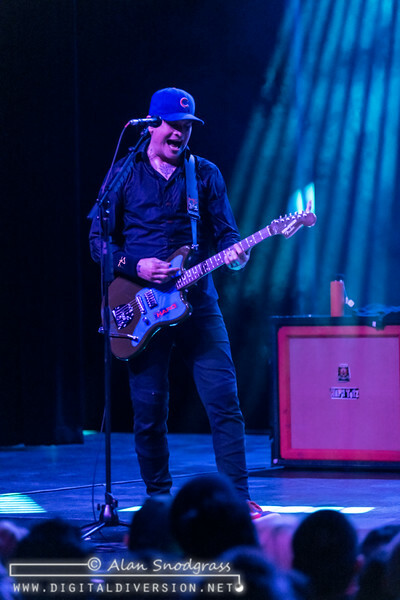 At one point a Chicago Cubs baseball cap made its way onto stage to Dan who tossed it over to Matt who put it on and showed no indication of ever letting it go. 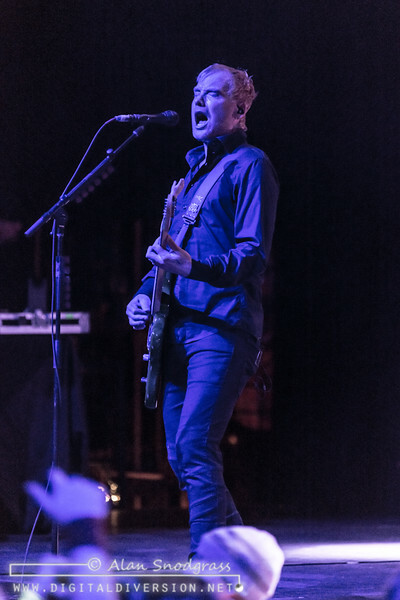 Even in the land of the Giants, the crowd only cheered him on. 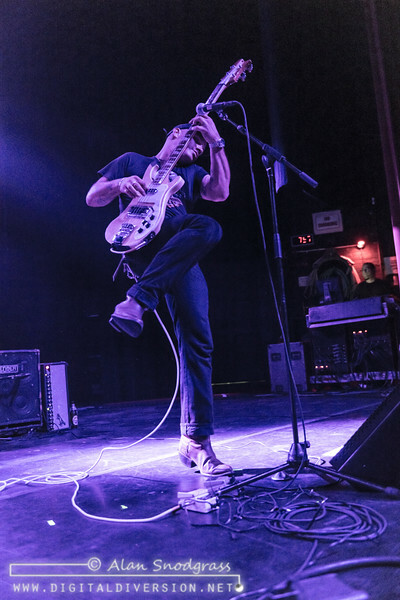 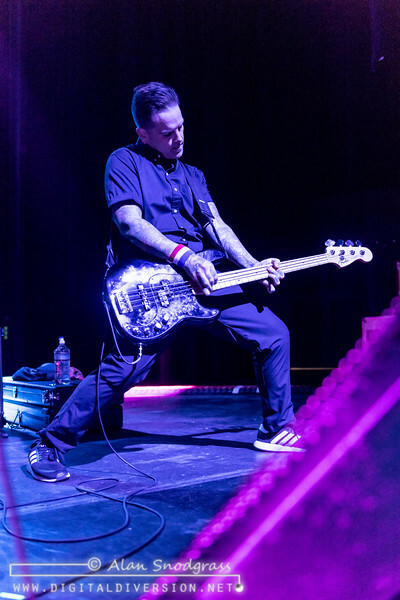 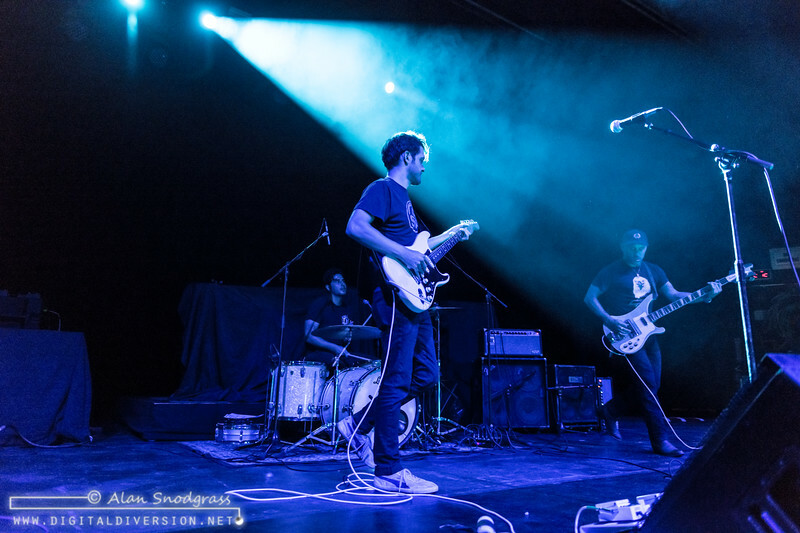 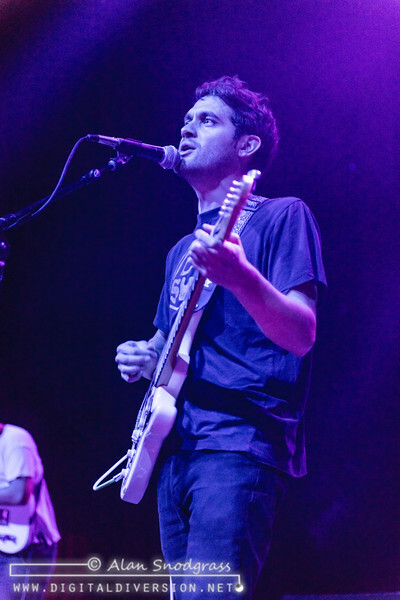 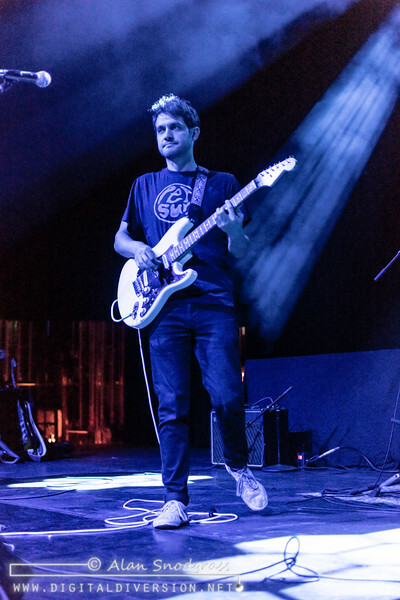 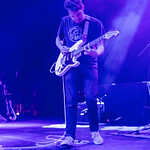 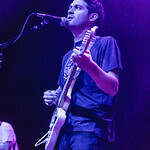 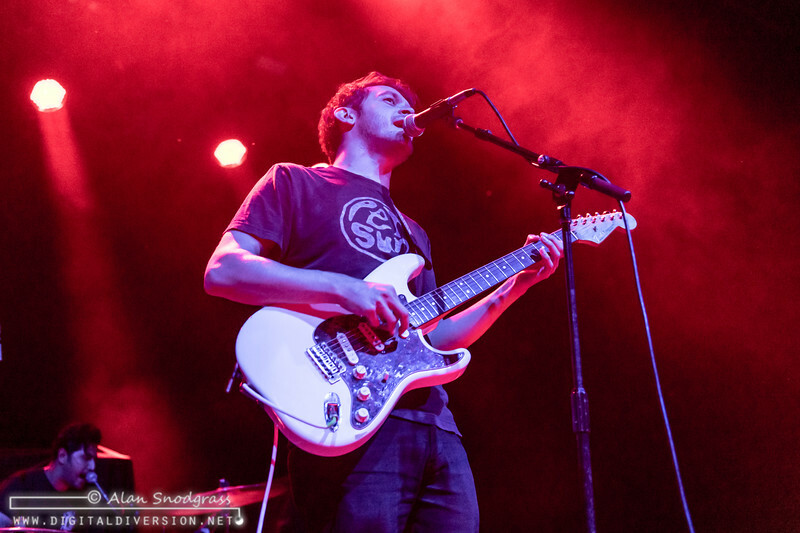 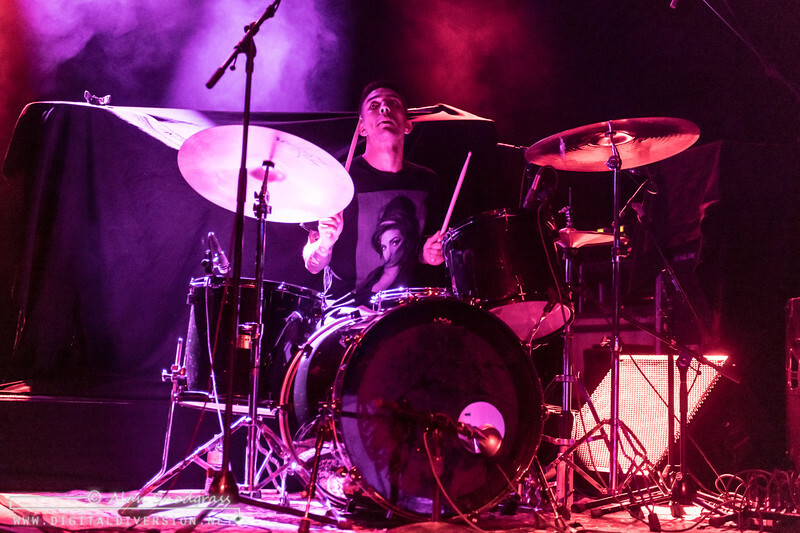 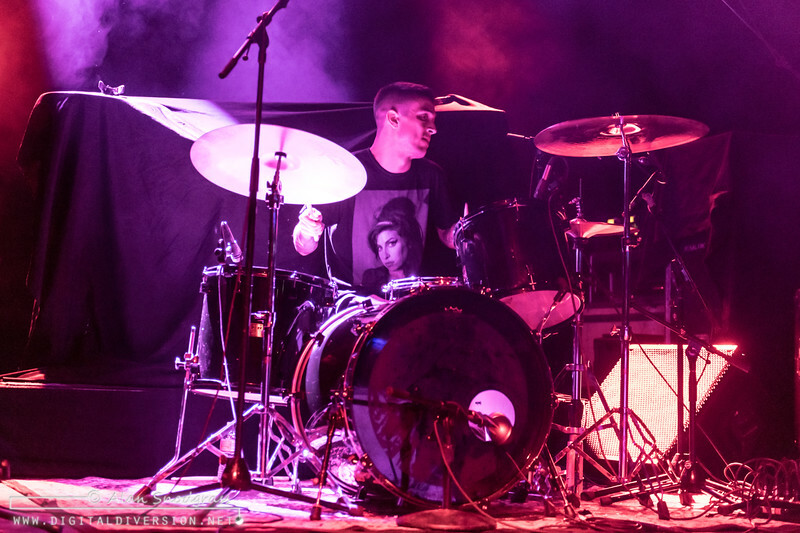 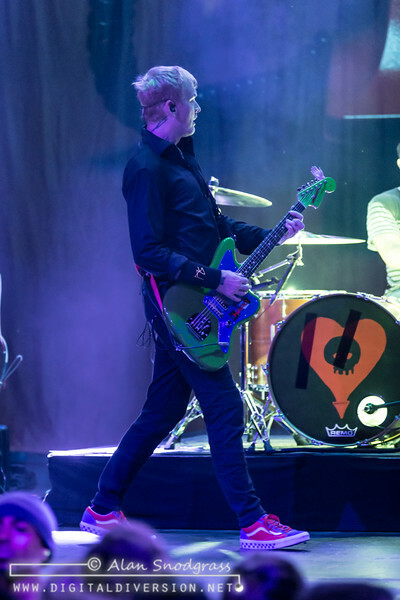 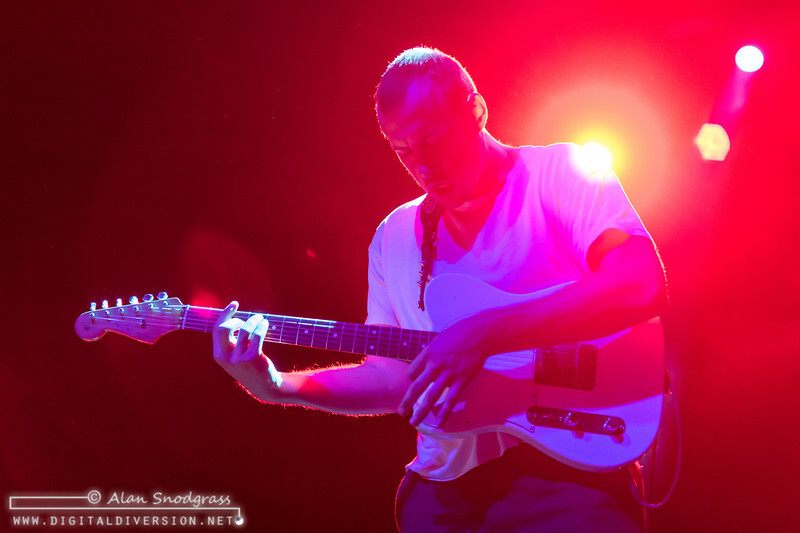 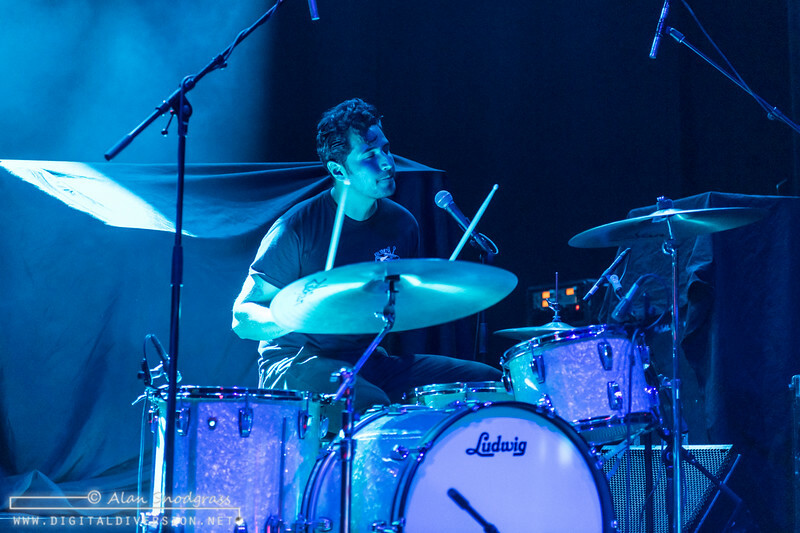 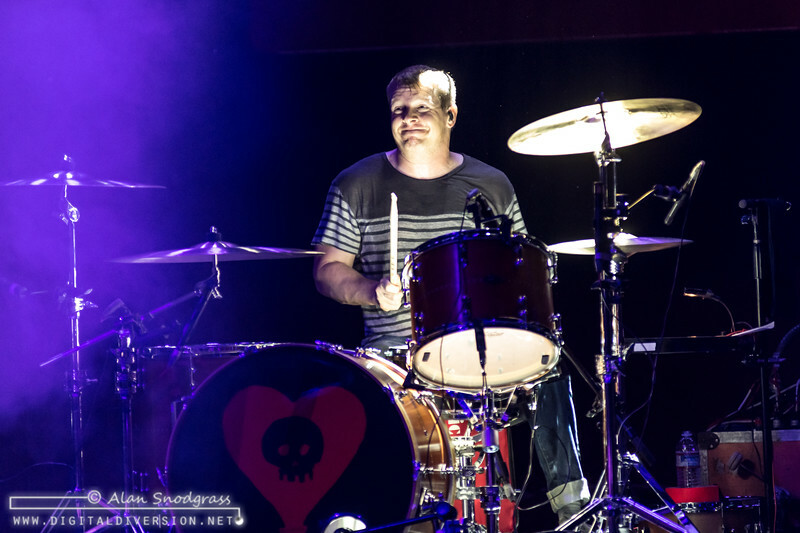 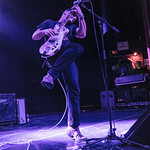 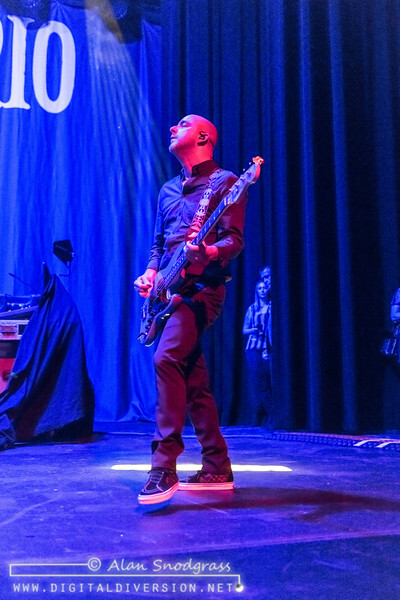 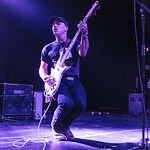 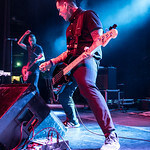 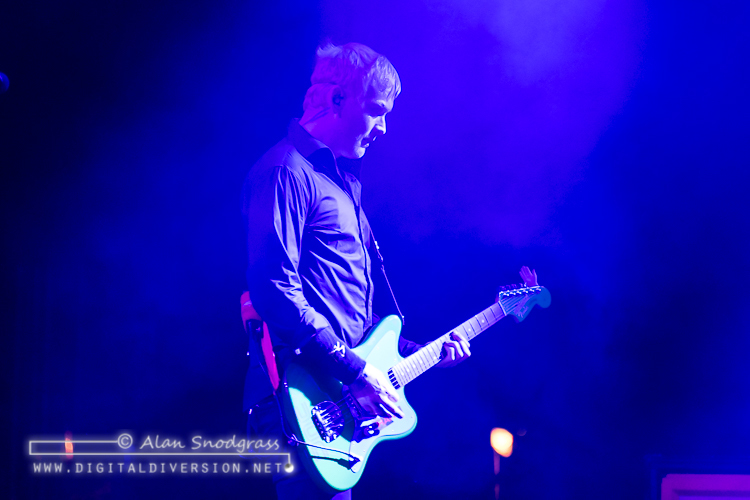 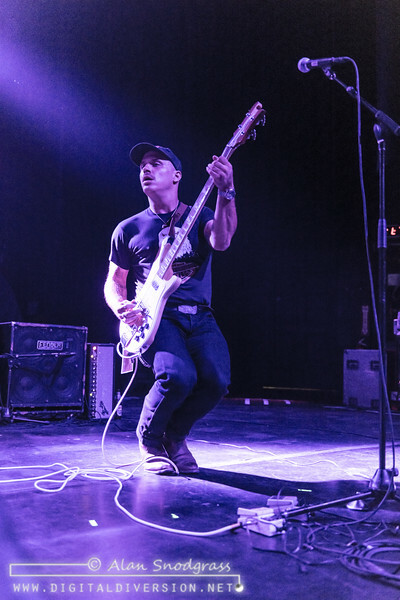 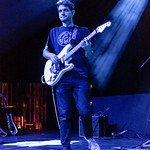 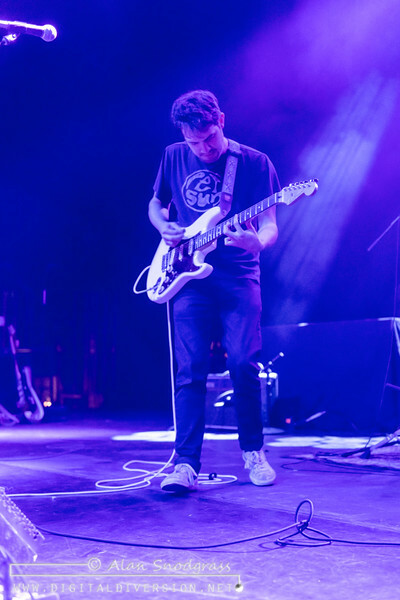 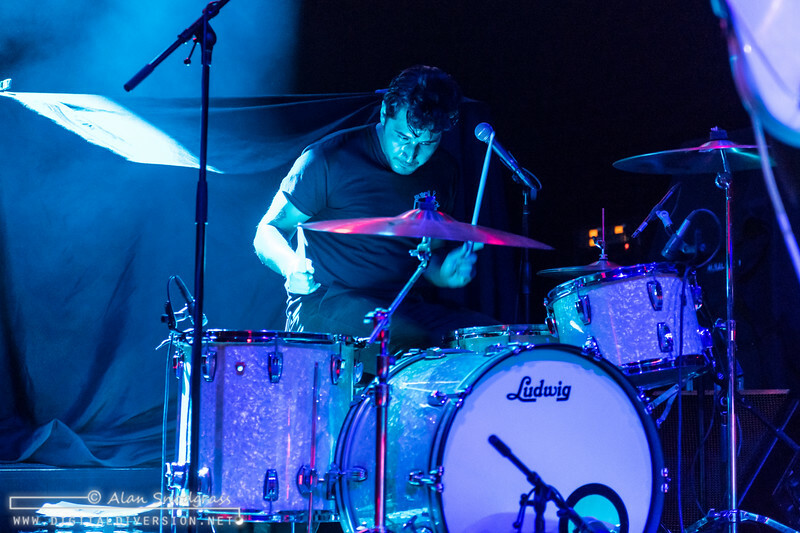 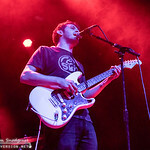 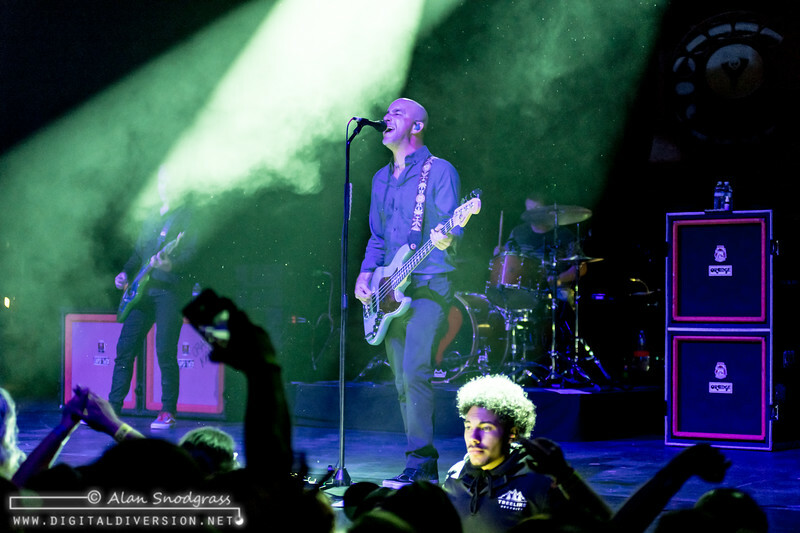 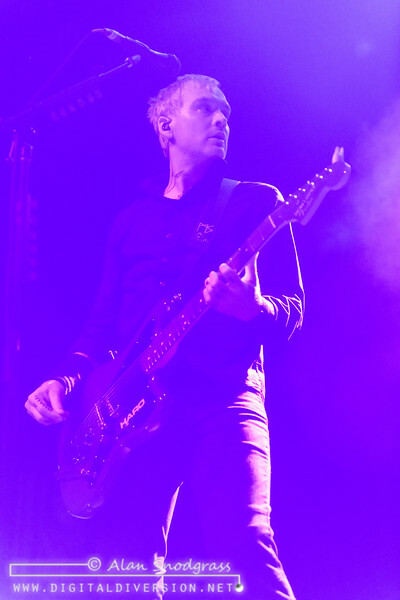 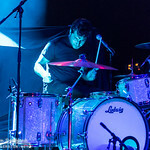 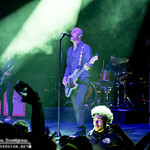 The enthusiasm never slowed and at one pointed Andriano paused to describe the show as the best of the current run and Skiba seemed to concur … as did the raging San Francisco crowd. 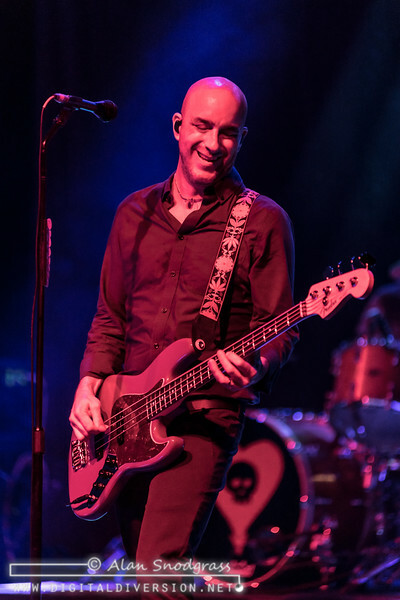 It has definitely been too long!